In this area the love for traditional products is considerated as an important element; many techniques are ancient and they have passed from generation to generation to stay still alive nowadays. Martelli’s pasta-factory represents the real traditional production of pasta that is possible to admire during a guided tour, discovering the particularities of the production process and the passion that employs every member. 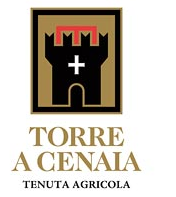 The farm Torre a Cenaia offers many tours of the cellars, basements and vineyards with wine, beer and typical products tastings. Moreover, you can book lunch or dinner on board of an original omnibus which dates back to 1800. The manifacturing chocolate company directed by maître chocolatier Cecilia Tessieri is having success in the whole world. Winner of many international awards, Amedei’s chocolate keeps the name of Made in Tuscany high. Founded in 1911, its liquors are renowed internationally. It is possible to make a tour into the company where the history, the passages of the production will be explained. The tour will end with a tastings and the possibility to buy some products. Castelvecchio Farm welcomes tourists and it invites them to have a visit into the farm, the basements, the cellars and the vineyards. Moreover, it offers a free wine tasting.